Whether you’re a beginner or experienced diver, we encourage you to consider Diving in Subic Bay. Subic Bay is 2-3 hours drive from Manila or 45 minutes from Clark making it the most accessible dive location in the country. Subic Bay is a fast growing location with nearby shopping malls, movie theaters and lots of great restaurants offering cuisine from all over the world. We are surrounded by beautiful mountains and our sunsets are to die for! Nearby treks to the volcano Mt Pinatubo depart from Subic each morning. Subic Bay was home to the largest US Naval Base outside of the USA as well as spending time under Spanish and Japanese occupation providing lots of historical importance including our wonderful wrecks. Dive sites are within 30 minutes of our beach front resort. World class Macro diving is right at your door step. Customers are treated like friends and family – we have lots of fun and so will you. If you fancy visiting a zoo then the Zoobic Safari is located with a 20 minute drive. Jetskiing and Parasailing starts right on the beach in front of the resort. All our rental equipment is top of the line. We can provide Nitrox to help maximise your dive times. No time limits set on dives. All our Instructors and Divemasters are here to ensure you get the most from your Subic holiday. Our staff are Wreck Divers and love their jobs! We offer support for Recreational, Technical and Closed Circuit Rebreather Diving. Technical and advanced wreck penetration dives can be guided by our technical wreck instructors. 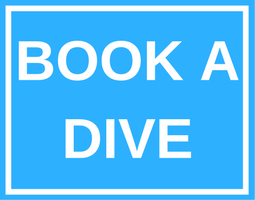 We cater for dedicated underwater photographers – we know how you like to dive! We simply LOVE scuba diving and you will find that contagious – there is no substitute.